Pleased to announce that I have recently completed a new inkjet print edition with the artist Stanley Donwood as part of CFPR Editions. Donwood is best known for his work with the band Radiohead who he has created artwork for since the group’s inception in 1985. 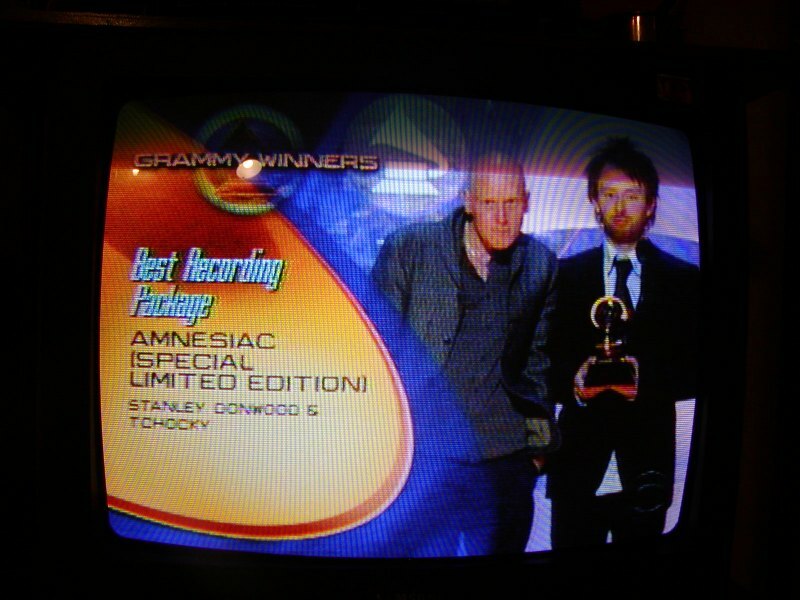 Donwood and frontman Thom Yorke met at Exeter University and the two are often thought to be one and the same, despite accepting a Grammy award together for the band’s packaging of the album Amnesiac in 2002. I have had the pleasure of working with Stan Donwood since 2013, producing both laser engravings and inkjet prints for the artist. Two examples can be seen in the photograph to the left from last years Contemporary Print Fair (Multiplied) at Christies London. The latest inkjet print entitled ‘Peril’ is the fourth fine art print to be editioned at the CFPR Editions studio – and will be on show at this years Multiplied Print Fair in October. After the sellout success of last year’s inkjet print edition ‘Else‘ we are excited to produce the next instalment in an OK Computer inspired series. A little over a year ago, the artist had been clearing out one of his studios when he uncovered his archive of preparatory work for Radiohead’s OK Computer Album cover. Needless to say I am delighted that Donwood has unearthed further unseen assemblages from his early digital collages. ‘Peril’ is currently on show at the Carriageworks, Sydney, Australia until the 6th June as part of Donwood’s latest exhibition entitled, The Panic Office. See Stan discussing the exhibition below. This entry was posted on Friday, May 29th, 2015 at 3:17 pm. It is filed under News and tagged with Editions. You can follow any responses to this entry through the RSS 2.0 feed.